The good new for Lycoming was it started four consecutive drives in Susquehanna territory in the second half Saturday. The bad news was the Warriors earned zero points from those four drives. Lycoming turned over the ball six times yesterday, including four interceptions by freshman quarterback Elijah Shemory, and Susquehanna retained the Stagg Hat Trophy with a dominant 38-7 win at David Person Field. The was about as worse-case scenario as it could be for Lycoming in a season opener. It averaged just 1.2 yards per rushing play, 3.3 yards per play, and converted on just 2 of 15 third downs. The defense allowed 358 yards to Susquehanna, and River Hawks freshman quarterback Michael Ruisch threw a pair of touchdown passes. For every positive step the Warriors took Saturday afternoon, it found a way to take two back. When Susquehanna took a 3-0 lead with a first-quarter field goal, the Warriors followed it with a missed field goal. When Tyjah During returned a kickoff 59 yards to the River Hawks’ 34-yard line, Shemory was intercepted on the Warriors’ first snap. When Joe Pinzka intercepted a Ruisch pass, Shemory was again intercepted on the Warriors’ first play. For every high, there was a low for Lycoming. And they were lows they could never recover from. By the time Costello caught a 17-yard touchdown pass from Shemory in the second quarter, the Warriors were already down 24-0. “At some point, I think it was 17-0, I made the statement that I didn’t think we could play any worse,” Lycoming head coach Mike Clark said. “Then we put the ball on the ground two plays in a row. 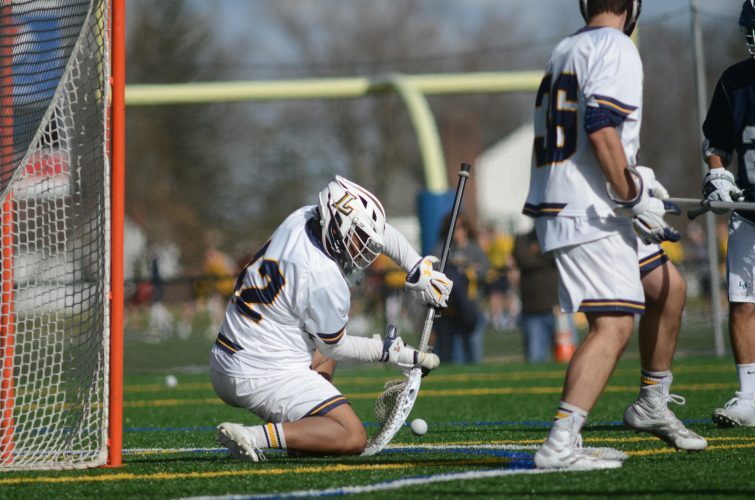 Lycoming lost its season opener for the fifth time in the last seven seasons. Clark tried to provide perspective to his team after the game, telling them the story about how the 2013 MAC champion Lycoming team lost its season opener to Brockport State, 30-2. The truth Saturday was Shemory struggled in his first collegiate start, completing 11 of 24 passes and throwing the four interceptions. The offensive line struggled to provide any kind of room in the run game, which saw Lycoming pick up 45 yards on 36 carries. And with its back to the wall more than a handful of times, the Warriors’ defense struggled for consistent stops against Susquehanna. The 31-point loss matched Lycoming’s worst loss since falling to nationally-ranked Delaware Valley a year ago, 34-3. Susquehanna did the majority of its damage in the first half running 47 plays at better than 4.5 yards per play. In his first collegiate start, Ruisch battled through a handful of dropped passes to lead the River Hawks on four first-half scoring drives. Aaron Speight and Torey Brown each had a touchdown run, and Ruisch found Kyle Good on a 14-yard touchdown strike in the second quarter to help spot Susquehanna a 24-0 lead. Susquehanna started three drives in Lycoming territory in the first half, two of which ended in touchdowns. The River Hawks were 4 for 4 in red zone scoring chances in the first half. Really, it was the Susquehanna defense which set up the offense. A group which returns nine starters from the top defense in the Centennial Conference a year ago continually put pressure on Shemory and disrupted Lycoming’s running game. 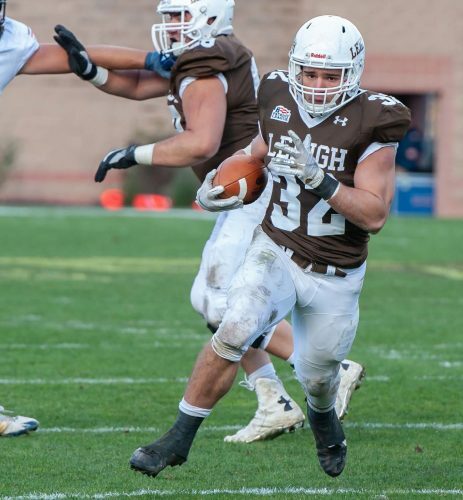 Keith Batkowski gained just 33 yards on 11 carries for the Warriors. Jacob Fimbres finished with 19 yards on 10 carries. The River Hawks also sacked Lycoming quarterbacks four times. Two came from linebacker Cole Dixon, who finished with a team-high nine tackles, a forced fumble, a fumble recovery and an interception. 1-minus 7; Nicholas Brotzman 1-minus 7; TEAM 2-minus 17. Lycoming-Keith Batkowski 11-33; Jacob Fimbres 10-19; Christoff Minott 1-8; Len Wyda 4-4; Elijah Shemory 6-0; Elisiah Bayne 1-minus 4; Chase Snavely 3-minus 15. PASSING: Susquehanna-Michael Ruisch 13-30-2-143; Nicholas Brotzman 2-5-0-21. Lycoming-Elijah Shemory 11-24-4-165; Chase Snavely 1-5-0-5; Elisiah Bayne 0-0-0-0. RECEIVING: Susquehanna-Mikah Christian 5-52; Mitch Carsley 3-32; Anthony McCoy 2-30; Kyle Good 2-23; Frank Depaola 2-11; Kibwe Galloway 1-16. Lycoming-Nick Costello 4-79; John Kim 3-24; Brock Zollicoffer 2-60; Christoff Minott 1-5; Mike Mulvihill 1-2; Keith Batkowski 1-0. INTERCEPTIONS: Susquehanna-Nick Sottile 1-27; Cole Dixon 1-19; Danial Shelton 1-0; Connor Thompson 1-minus 22. Lycoming-Joe Pinzka 1-9; Mike Kalyan 1-0.